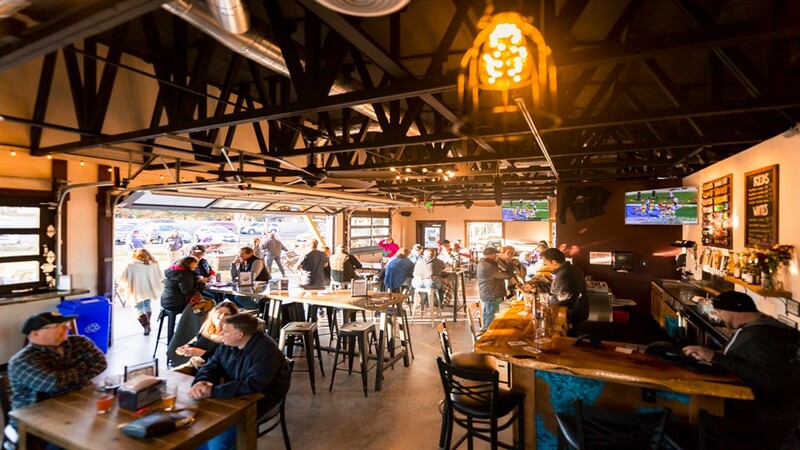 River’s Place is a family/dog-friendly tap house and food cart yard featuring 5 food trucks, 14 beer, cider and kombucha taps, plus a wide selection of wines. ​River’s Place offers the best of both worlds: In the summer, our garage doors roll up creating an open air flow between the tap house and our huge lawn and play area. In the winter, our garage doors fully close and we crank up the central heating to create a cozy and comfortable place to hang out. For the die hards, we also have a 9ft gas fire pit. ​The tap house also features 3 big screen TVs, so River’s Place can be your new go to for game day! Located on the East side of Bend, OR across from Costco, it is easy access from highway 20 or Purcell Blvd and we have plenty of parking.